This weeks highlights include: Recreation Facility Hours to Change for Fall Break, Tai Chi program resumes, Discover Scuba and your last Chance to Visit the Clarksville Downtown Markett. The City of Clarksville’s three community centers (Burt-Cobb Community Center, Crow Community Center and Kleeman Community Center) and Indoor Aquatic Center at New Providence will adjust their hours of operation for the Clarksville Montgomery County School System (CMCSS) Fall Break. From October 14th-18th, all three community centers will be open from 10:00am to 7:00pm Monday-Thursday, and 10:00am to 6:00pm Friday. The Indoor Aquatic Center will remain open from 6:30am to 8:00pm. All facilities will resume normal operating hours on Saturday, October 19th. Daily visitor passes for the community centers are $1.00; Center ID’s can be purchased for $5.00 and are good for one year. Daily visitor passes for the Indoor Aquatic Center are $3.00 Monday, Wednesday, and Friday, $1.00 on Tuesdays, $3.00 BOGO on Thursdays, and $5.00 on Saturdays and Sundays. For more information on Fall Break hours at our facilities or a full list of current programs visit www.cityofclarksville.com or call 931.645.7476. The Crow Community Center will resume sessions of Tai Chi for Arthritis beginning October 15th! Tai Chi for Arthritis will take place every Tuesday, 4:00pm to 5:00pm, through November 26th. 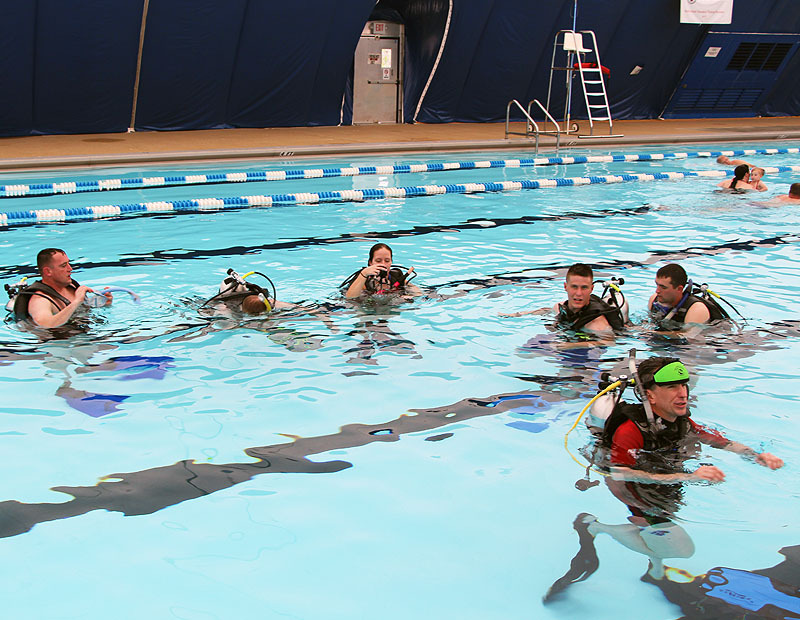 The Indoor Aquatic Center hosts an introductory Scuba class every first Saturday and third Thursday of the month from 1:00pm to 4:00pm, beginning October 17th thru May 3rd, 2014. 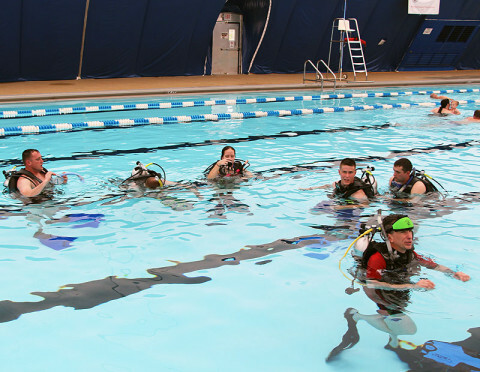 The class is for individuals who are interested in getting a taste of the scuba experience and an overview of what is involved in Scuba Certification. Tanks, masks and fins are provided, but participants are welcome to bring their own. Class is $25.00 per person and is open to ages 10 and up. 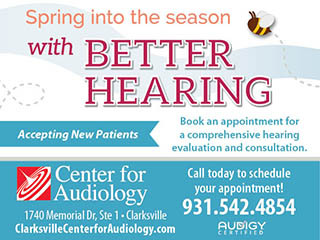 Visit http://recpro.cityofclarksville.com for more information and to register online. Since its opening, the Clarksville Downtown Market has been a success- so much so that we were voted the number one market in Tennessee through America’s Farmland Trust, four years in a row! Don’t miss your chance to visit the Clarksville Downtown Market on its last day of the season, Saturday, October 19th, 2013. The market will be open from 8:00am to 1:00pm, on Public Square. Come out to see all the wonderful fall produce the market has to offer, create a Halloween Craft with help from Paper, Chalk, Scissors, and enjoy the musical performance by Red River Breeze. Don’t forget the kids- children ages 12 and under can enjoy free pumpkin painting from 9:00am to noon (while supplies last). Be sure to become a fan or follower on Facebook by searching Clarksville Downtown Market and stay “in the know” about next year’s season, or visit www.clarksvilledowntownmarket.com.